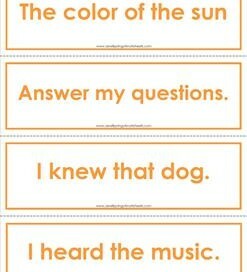 Our Fry phrases flash cards can be used for kindergarten through fifth grade. 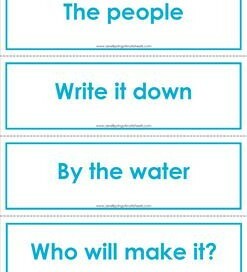 Each set has 81 to 90 phrases that are commonly used in the English vocabulary, albeit some more than others. 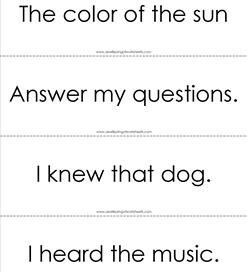 Once your kids are able to read most, if not all, of the Fry sight words for their grade level, the next step would be for them to put those words together into phrases that they recognize and might even use frequently. Most of the phrases are just that, phrases. Some of them, however, are complete sentences. 12 sets; 6 sets, each in black & white and color. Fry phrases flash cards – the second 100 – black and white is 23 pages long, has 90 phrases, and has four phrases per page. For 2nd grade. Fry phrases flash cards – the second 100 comes in a nice green, has 90 phrases, four phrases per page, and is 23 pages long. Recommended for second grade. Fry phrases flash cards – the third 100 – black and white has 90 phrases, is 23 pages long, and has four phrases per page. For third grade. Fry phrases flash cards – the third 100 comes in a bright yellow, has 90 phrases, four phrases per page, and is 23 pages long. Recommended for third grade. 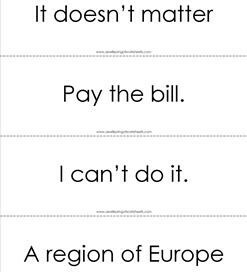 Fry phrases flash cards – the fourth 100 – black and white is 23 pages long, has 89 phrases, and 4 phrases per page. For 4th and 5th. Fry phrases flash cards – the fourth 100 comes in a soft orange, has 89 phrases, four phrases per page, and is 23 pages long. For 4th and 5th. Fry phrases flash cards – the fifth 100 – black and white has 89 phrases, is 23 pages long, and has four phrases per page. For 4th and 5th. Fry phrases flash cards – the fifth 100 comes in a pretty salmon color, has 89 phrases, four phrases per page, and is 23 pages long. 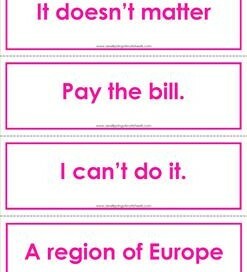 For fourth and fifth grade. 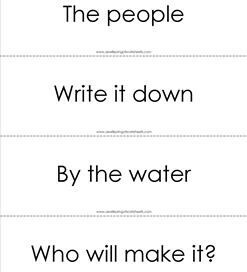 Fry phrases flash cards – the sixth 100 – black and white has 90 phrases, is 23 pages long, and has four phrases per page. For 4th and 5th. 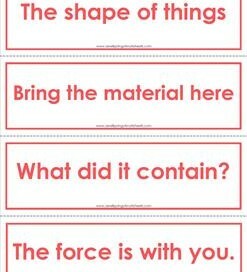 Fry phrases flash cards – the fifth 100 comes in a bright pink, has 90 phrases, four phrases per page, and is 23 pages long. Recommended for fourth and fifth grade.